The RPMK-1 Ulybka (Russian designator: РПМК-1, РадиоПеленгационный Метеорологический Комплекс «Улыбка» (индекс 1Б44) — “Ulybka” = “smile”) is a weather radar for radiosonde observation. The antenna uses the principle of conical scan. The high frequency is fed to the antenna by using of matched rigid coaxial lines. Ulybka measures wind direction and speed, relative humidity, temperature and pressure. This data is collected by radiosondes — small instrumentation packages that emit radio signals — carried aloft by balloons. The wind speed and direction can also be determined if necessary by tracking the balloons with the system's radar. The radar may operate either active, or as passive direction finder. 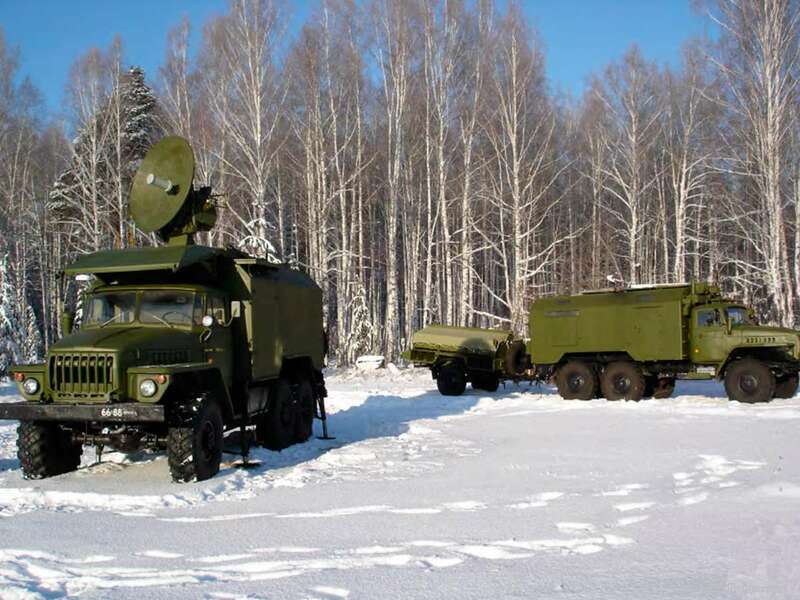 The collected data is used for gunnery, launching of missile and multiple rocket systems; calculation of contamination areas; weather forecast; aviation flight support. 1B44-3: trailer that carries cylinders of hydrogen gas for the balloons. 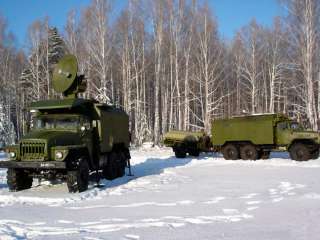 The complex RPMK-1 "Ulybka" was delivered to the Russian armed forces from 1990 and replaced the predecessor MRK-1 “Shkval”.